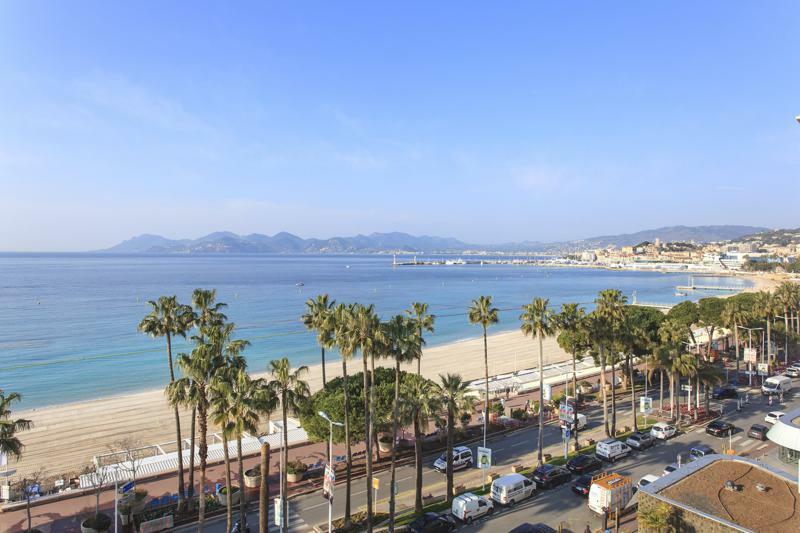 This 2-bedroom, 85m2 Cannes apartment is ideal if you are attending a conference, as it’s only a 13-minute walk to the Palais des Festivals. 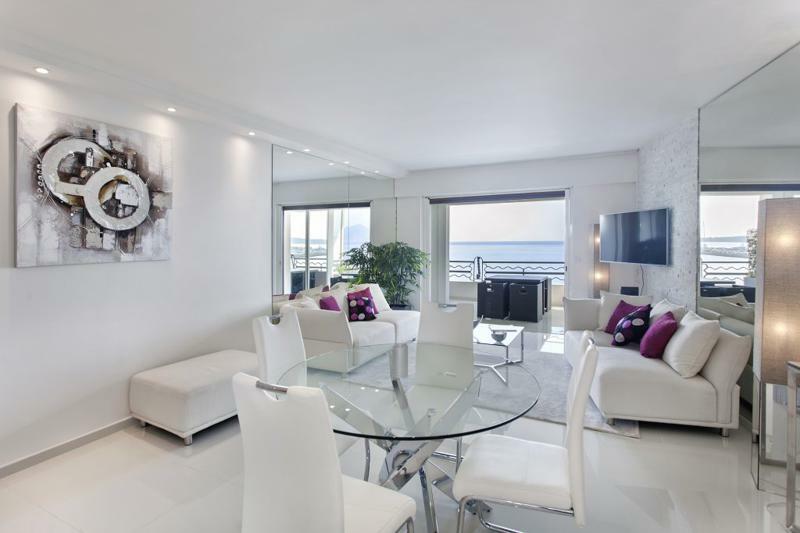 It's located on the famous Boulevard de la Croisette in the Martinez Miramar neighbourhood. 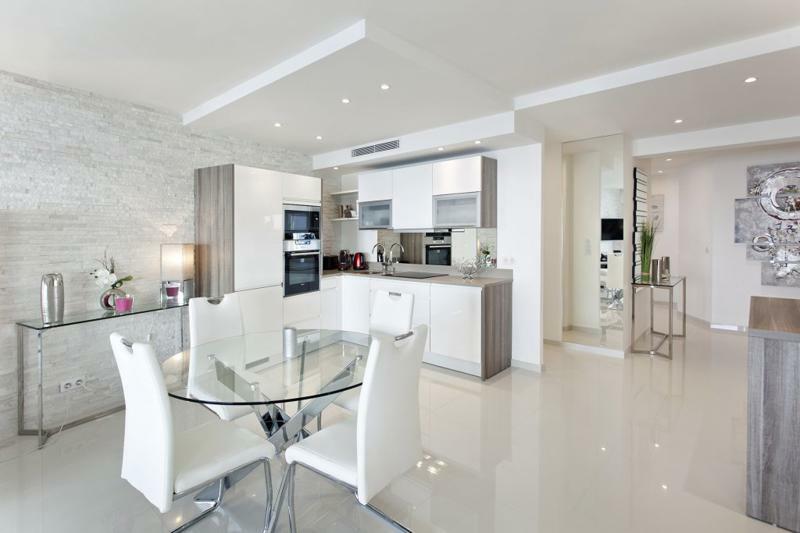 It’s situated in a secure building with an elevator and the 6th floor views from this apartment will take your breath away. The 11m2 terrace provides the option to have the 4 person patio furniture set nestled into a covered porch area or to be pushed out further into the sunshine. There are also 2 sunbeds if you want to take in the rays during your trip. 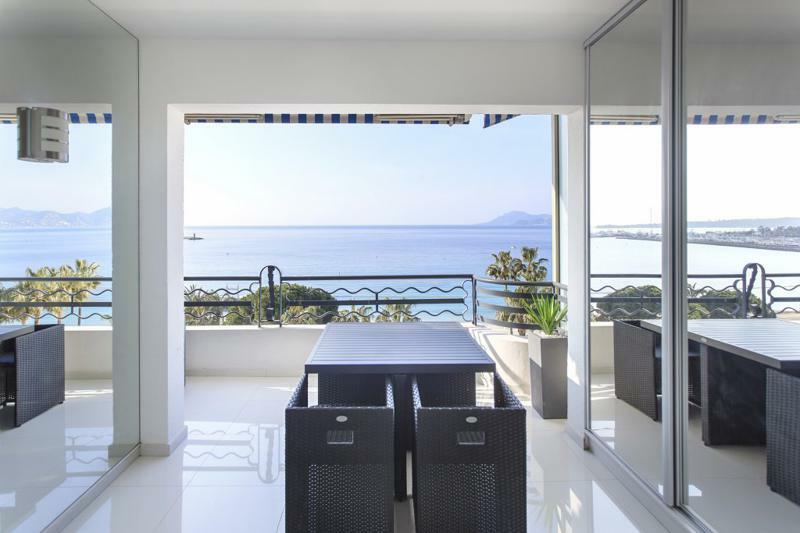 The impressive views of the Meditteranian and the entire Cannes shoreline will motivate you to have your business meetings or gatherings in this apartment. The living room includes 2 sofas facing each other with a coffee table in the center of the room. 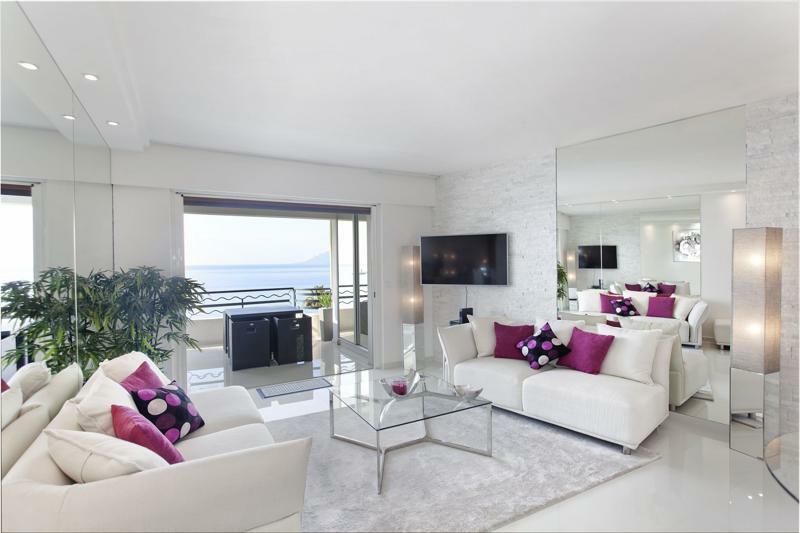 The modern and classy decor is accentuated by floor to ceiling mirrors throughout the apartment. It also offers a flat screen TV and a dining table that seats 4 people. The open-plan living area includes an American kitchen that comes complete with an oven, microwave, fridge, dishwasher, coffee machine, and tea kettle. There is also a guest toilet in the entrance in case you have company over. 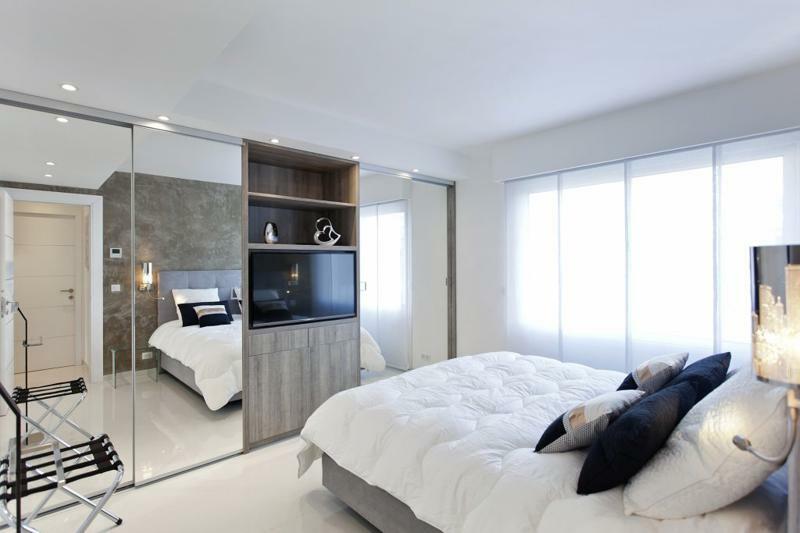 The master bedroom offers a double bed and comes with a flat screen TV that’s built into the large fitted wardrobe. There are large windows that make an entire wall of the room providing an abundance of natural lighting. 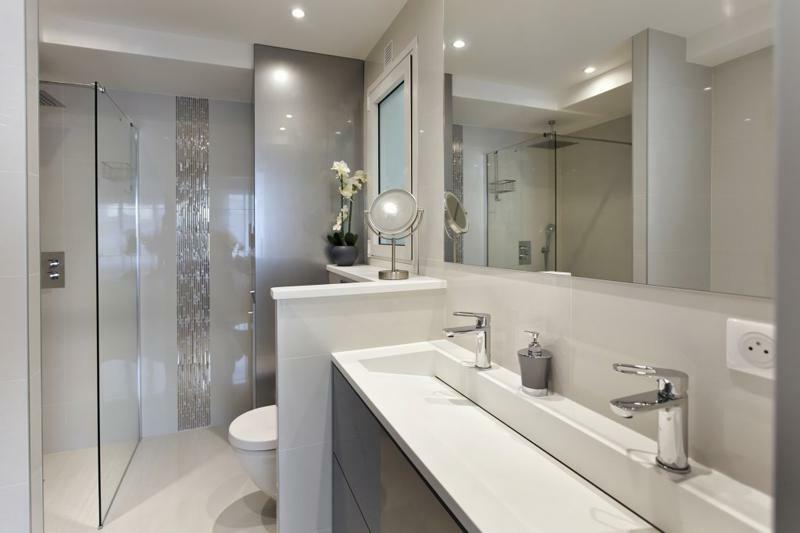 The bathroom includes a shower, toilet, and double basin sink. 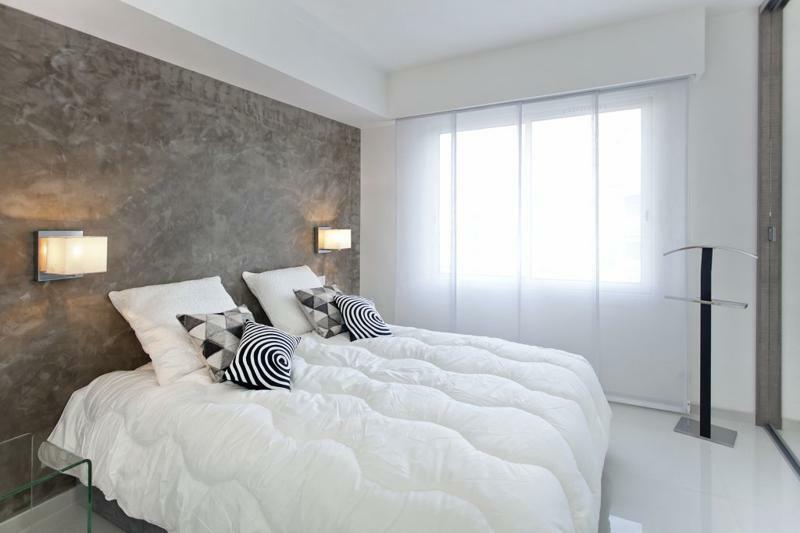 The other bedroom also comes with 2 single beds that can be joined together to create a double bed if desired. There is also a large window that allows in natural lighting. 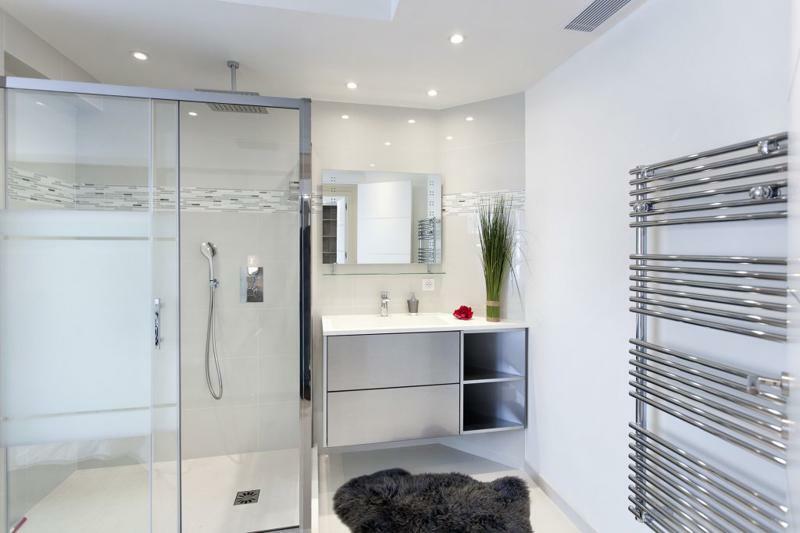 The bathroom includes a shower, vanity sink, and towel dryer. This apartment also comes with Internet, air conditioning. If you are interested in the possibility of parking, please ask our account manager for more details.